Looking for comfortable and affordable hotels near Gore Mountain? 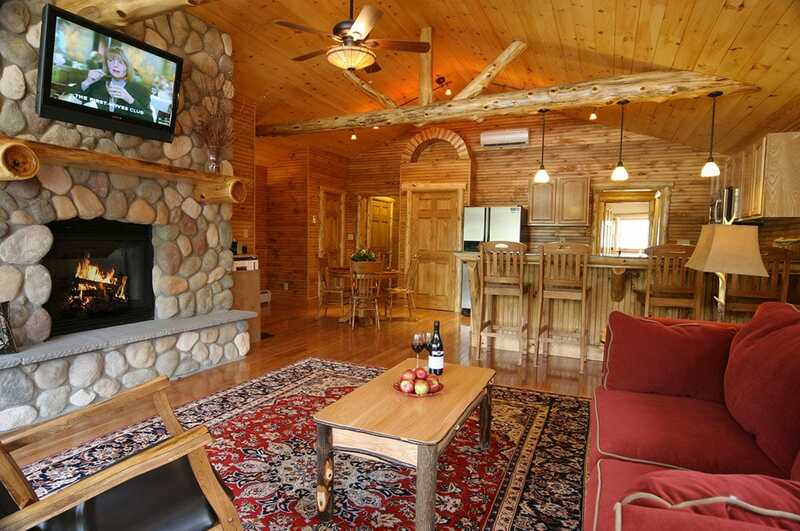 Alpine Lodge in North Creek NY offers beautiful Adirondack lodging near all the best attractions in Upstate NY! Enjoy cozy, beautifully furnished rooms and suites minutes away from Gore Mountain. 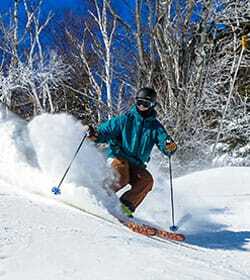 Gore Mountain Lodging: Plan Your Gore Mountain Ski Getaway! Planning on hitting the slopes this winter? Just minutes away from our lodge you can snowboard or ski down Gore mountains’ 109 trails and 2,537 vertical feet of powdered goodness – home to the most skiable acreage in New York. Bringing the little ones along? Gore Mountain offers free skiing and riding to children 6 and under! For your convenience, there is a free continuous shuttle that brings you from our doorstep directly to Gore Mountain! Check out our Winter 2017 Gore Mountain ski specials to learn more about our exciting hotel and ski packages. Looking to hit up a few different mountains during your stay? Only a short drive away, you’ll find West Mountain in nearby Glens Falls, Oak Mountain in Speculator, and Whiteface Mountain up north in Lake Placid. After a long day on the mountain, come back and relax in your cozy Adirondack themed guest room. Our Gore Mountain lodging accommodations offer a comfortable retreat, complete with a crackling fire in our cozy Great Room. Book at Stay at Our Hotel Near Gore Mountain – Your Adventure Awaits! Alpine Lodge is located the heart of North Creek village and just minutes away from Gore Mountain. Stay with us and enjoy an unforgetable ski vacation in the Adirondacks! Browse our rooms, then please call (518) 251-2451 or fill out the form below to make a reservation at our hotel near Gore Mountain. We look forward to your arrival!